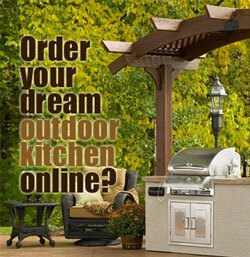 Outdoor wall art is a great way to decorate and personalize the outside of your home. 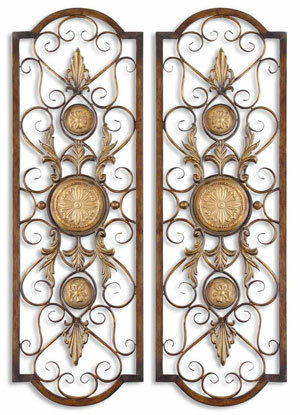 Whether you are creating an outdoor room or designing a walkway or front entry, wall decorations can add a lot of character and style to your home without a lot of effort or cost. Think outside the box when it comes to decorating the exterior walls of your home. Instead of paintings in frames, think metal wall sculptures, wall hangings, planters or even functional items such as clocks. When you use unique and non traditional pieces of art on your walls, you can use smaller and less expensive pieces, and they can still make a big impact. You also don’t have to worry so much about centering artwork. If you don’t know where to start, consider the style and coloring of your home. 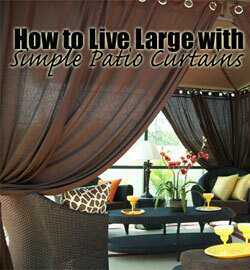 If you are using wall art in an outdoor living room, think about coordinating it with the furniture. One large piece may be all you need, and can make a statement all on its own. On the flip side, 2 or 3 smaller pieces (matching or coordinating) can also be impressive and tie together a room or space. If you will be decorating several areas around your home or in your backyard, you may want to develop a theme so that you have a consistent look throughout. For example, sea animals and beaches, leaves, trees and nature, rustic wood art with a weathered feel – or modern metal sculptures. 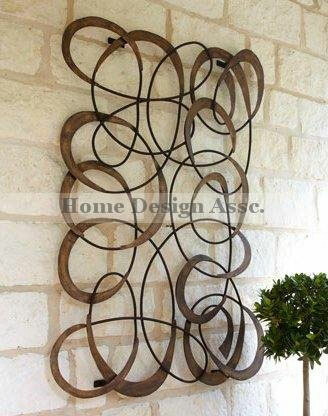 Metal panels such as these on the right are very versatile when it comes to decorating. They can stand on their own or be used side-by-side as a set. 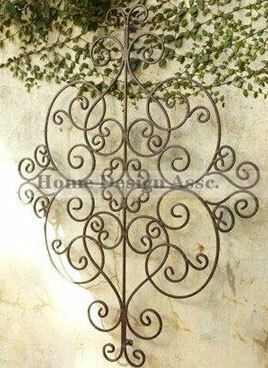 They can frame windows, doors or gates, they look nice in front entry ways as well as walls an fences. 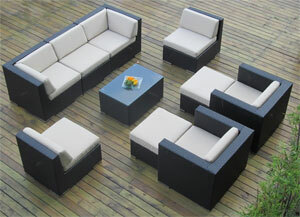 They have a timeless style and can be used with virtually any style decor. No matter where you use them, they add an extra level of style and elegance that makes everything else seem more expensive and sophisticated. These wall decorations are not statement pieces, but they will draw attention to the rest of your home and the furnishings around them. Why not go decorative AND functional at the same time? This clock and thermometer set are pieces of art with their unique distressed verdigris finish, but they also serve a useful purpose as well. 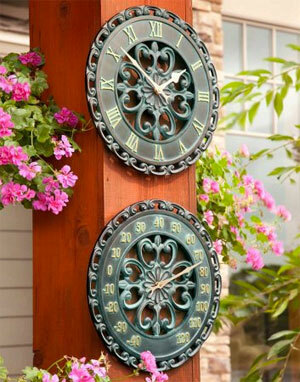 Hang on a wall, fence, tree or somewhere else that fits into the decor of your backyard. Here’s a cool video that shows how to make your own outdoor wall art with just fabric, door panels, staples and hanging hardware.